The Southern Ocean is critical for controlling how much CO2 is in the atmosphere, but as the water absorbs more carbon it becomes more acidic—and that could affect the health of a lot of organisms. The Antarctic ecosystem plays a critical role in balancing the global climate. Scientists estimate that about a billion tons of carbon are absorbed by the Southern Ocean each year—that’s about 40% of the entire ocean uptake, but only about 20% of the surface area. Carbon uptake is the process by which the oceans (or plants and forests) absorb carbon. An area that absorbs a relatively large amount of carbon is called a sink. Burning fossil fuels creates carbon dioxide. When carbon dioxide dissolves in seawater, the carbon is pushed down into the deep ocean, away from contact with the atmosphere, while the oxygen provides critical nutrients for production. 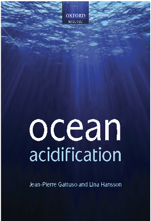 But as the amount of carbon increases in seawater, the acidity of the water also increases. Ocean acidification affects the water chemistry, which could, in turn, affect a lot of organisms, from phytoplankton, coral, and krill to fish and marine mammals. 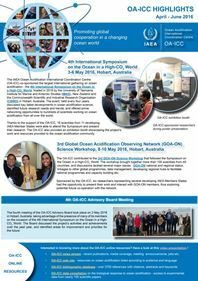 Saildrone has partnered with Australia’s Commonwealth Scientific and Industrial Research Organisation (CSIRO) and the National Oceanic and Atmospheric Administration (NOAA) to study carbon uptake and the effects of ocean acidification in the Southern Ocean as part of the 2019 Saildrone Antarctic Circumnavigation. “In pre-industrial times, before humans began emitting massive amounts of carbon through the burning of fossil fuels, there was about 50 times more carbon dioxide (CO2) dissolved in seawater than in the atmosphere,” said Dr. Bronte Tilbrook, a biogeochemist studying ocean acidification and the global carbon cycle at CSIRO. His particular focus is on finding out how much carbon is being taken up and stored by the Southern Ocean. “If we stopped emitting carbon today and left the system to balance itself out, most of the carbon already emitted would go into the ocean. The problem we’re facing, is that we’re emitting CO2 faster than the oceans can absorb it,” said Tillbrook. Scientists have been studying the Southern Ocean since 1898 when Adrien de Gerlache’s Belgica expedition became the first to spend an entire winter in Antarctica collecting valuable scientific data in the fields of meteorology, geography, anthropology, and biology. Since that first expedition, the majority of observations in Antarctica have been made by scientists on ships, but the Southern Ocean is home to some of the world’s most extreme weather conditions, and ship-based observations are often challenging. Many observations have also been made by NASA satellites, buoys, and floats like those deployed by the Southern Ocean Carbon and Climate Observations and Modeling (SOCCOM) project. Saildrone, 4 March 2019. Article.